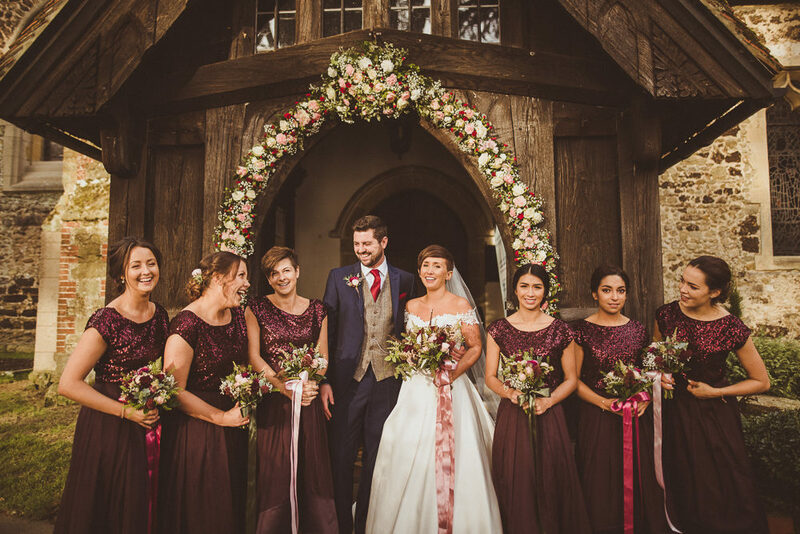 Now this is a cracker of a burgundy & gold winter wedding! What a super cool couple Luke & Georgie are! 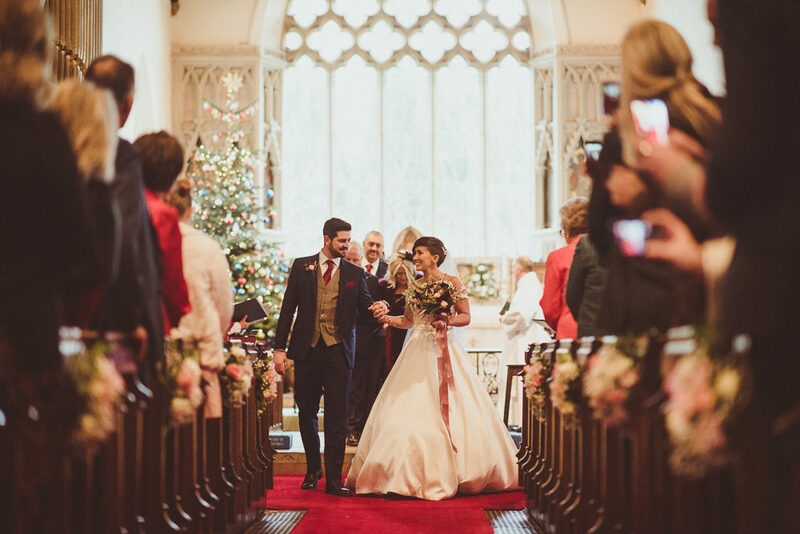 Their local church wedding ceremony was filled with Christmas trees, as well as an epic flower arch over the entrance. 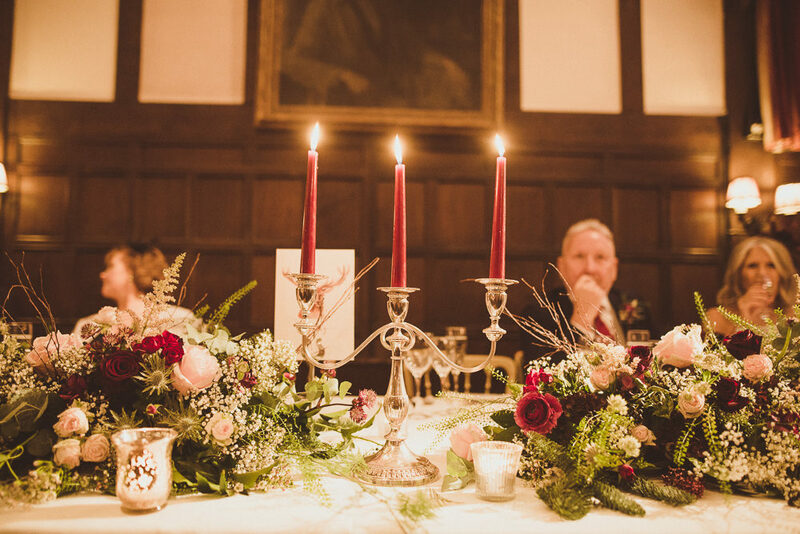 They then completely transformed their reception venue Ramster Hall into a haven of fairy lights, warmth and wonderful woodland table decorations. 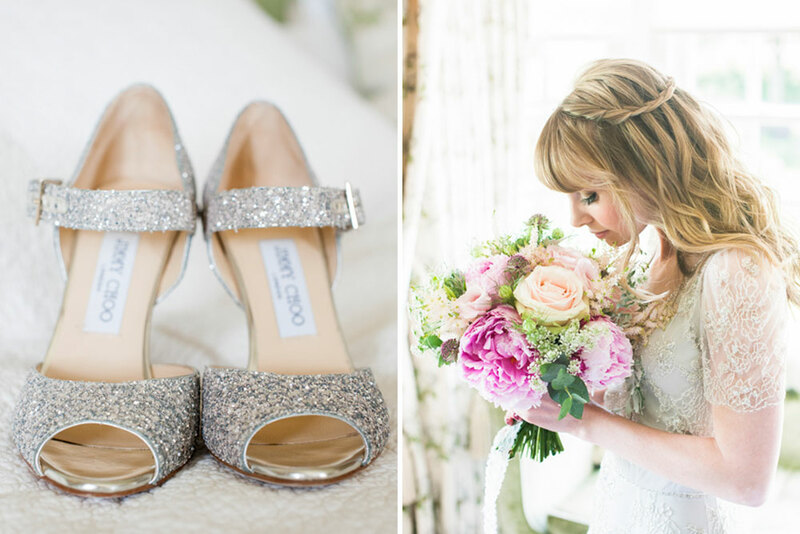 Bride Georgie is a makeup artist by day, and just oozes style. Opting for gorgeous Lillian West bridal separates (including pockets in the skirt), and keeping true to herself with her adorable pixie cut. 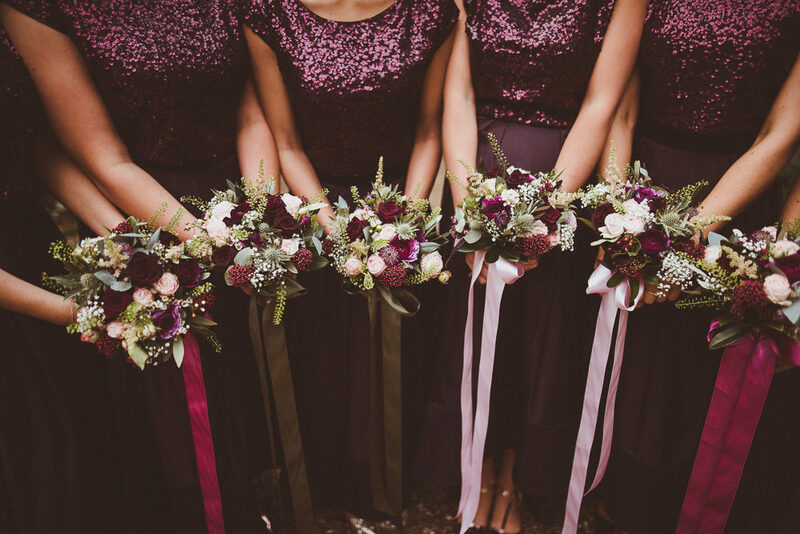 Her bridesmaids also looked fierce by her side in burgundy Coast sequin tops and high low skirts. Talk about goals! 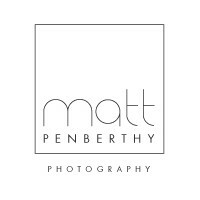 There are plenty more helpful tips, gorgeous pictures by Matt Penberthy and Film by John Harris Wedding Films to ogle over, so I’ll keep you no more and let this lovely Christmassy wedding unfold before you. 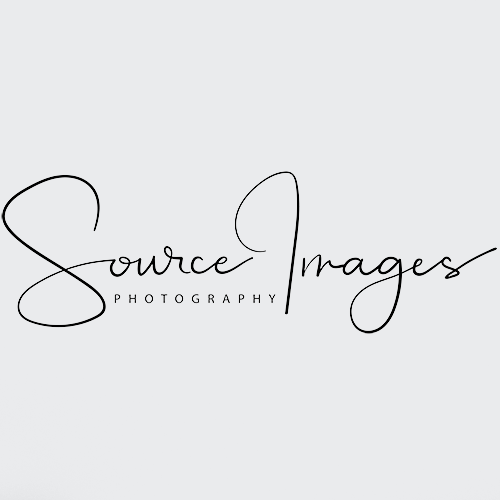 I love the way Maryanne Weddings captures a wedding. Each and every image has a romantic feel warming the soul. 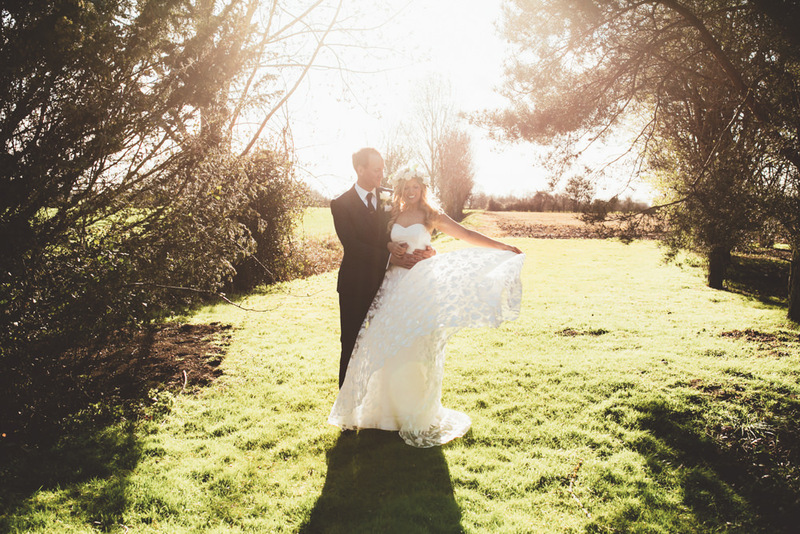 And the light… oh my, just heavenly, especially as it sprays through the lace of bride Kate’s beautiful Halfpenny London gown. 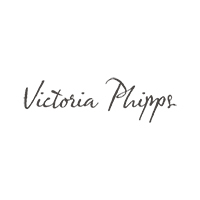 The timeless decor, florals and stationery was all designed and styled by the bride, but knowing she works as an art director for a women’s fashion magazine you know they are going to beautiful. 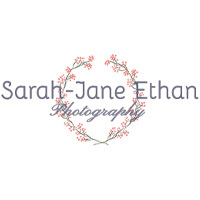 There’s a classic rose flower crown, Coast bridesmaids gowns and fabulous floral centrepieces. 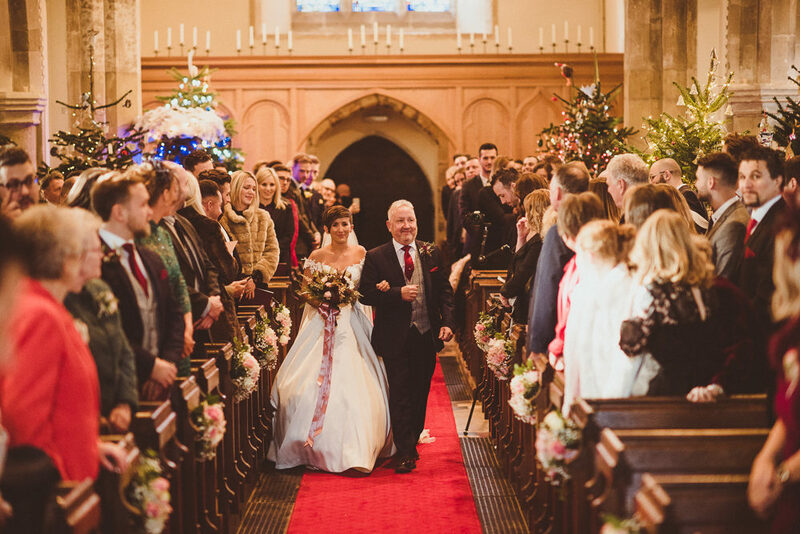 So are you ready to take a look at this intimate Easter wedding? It’s beaut. 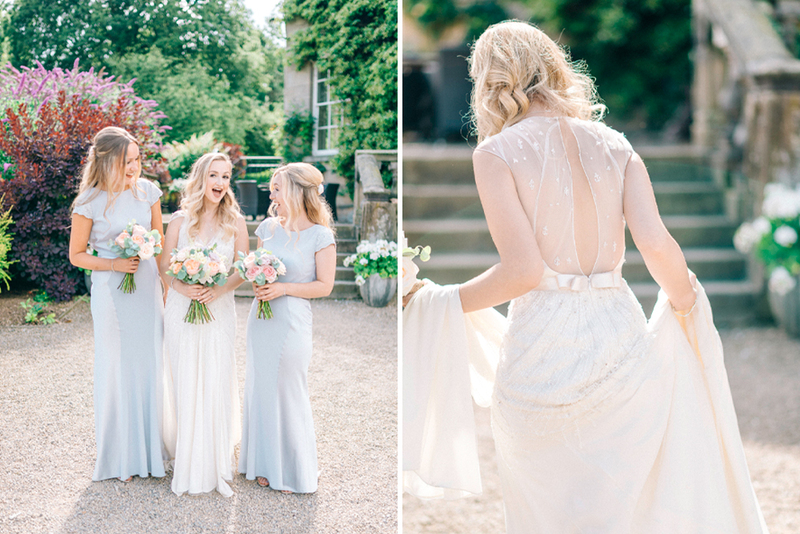 As I look outside my window it’s currently grey and drizzly, but my mood (as will yours) has definitely been lifted whilst putting together this pastel pretty country wedding at Middleton Lodge in Yorkshire. 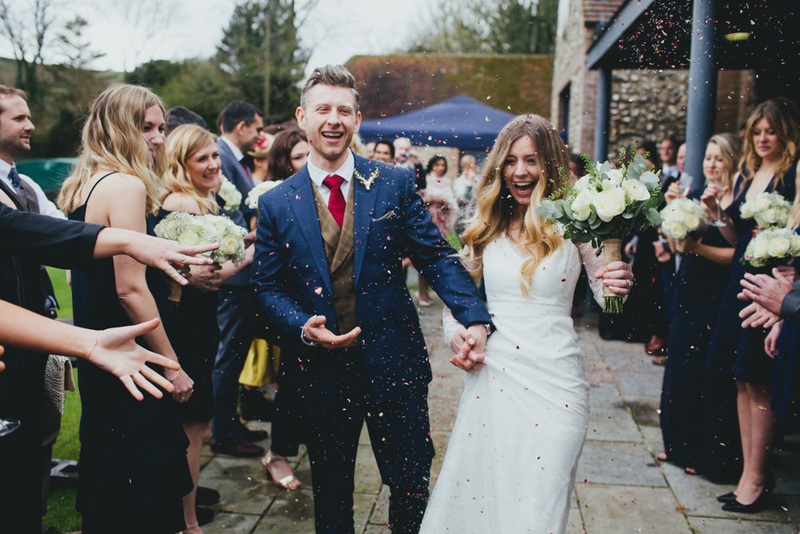 Sarah & Jack are an adorable couple with a small budget but have managed to pull off the most incredible celebration. 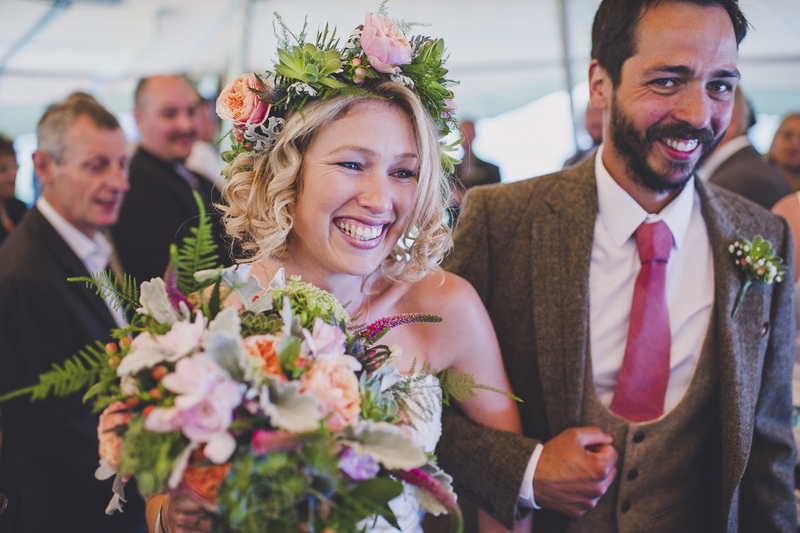 Starting with the sweetest outdoor ceremony and culminating in a gorgeous marquee reception. The sea of floral arrangements are delicious, including eucalyptus and peach, blush & lilac roses by Love Lust List members Wedding and Events Floral Design, which I have a feeling may get pinned within an inch of their lives, not to mention those bouquets. 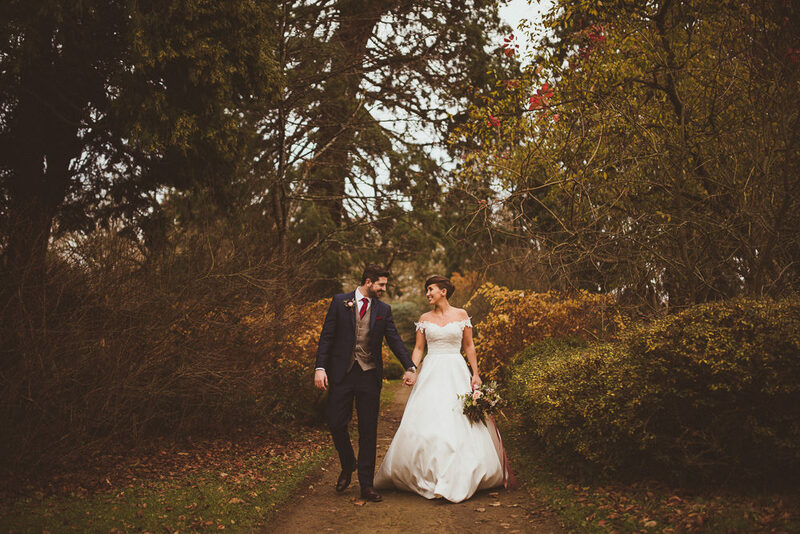 There’s lots of love for Sarah’s Jenny Packham gown too, which she cleverly sourced from Preloved to save some pennies. And don’t her Bridesmaids look heavenly in blue Coast gowns? I love the delicate lace cap sleeves and V back. Plus that half up, half down do with fresh flowers is something else. 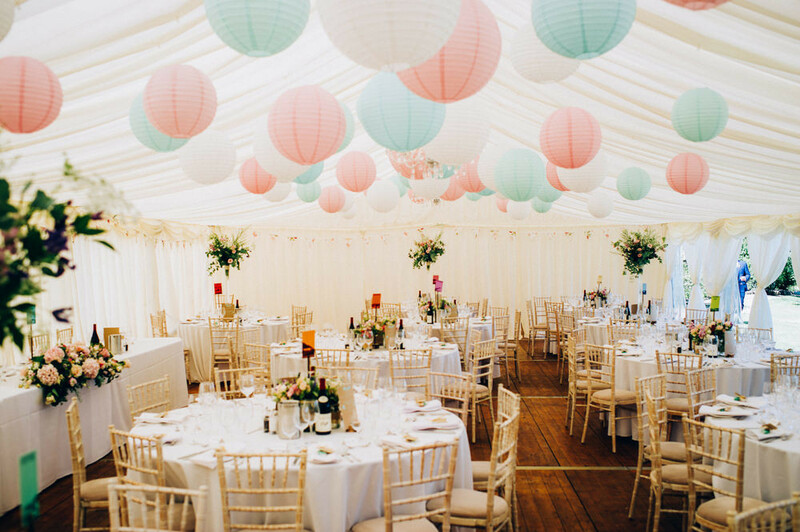 This fabulous marquee wedding at the couples local cricket club couldn’t be more them. 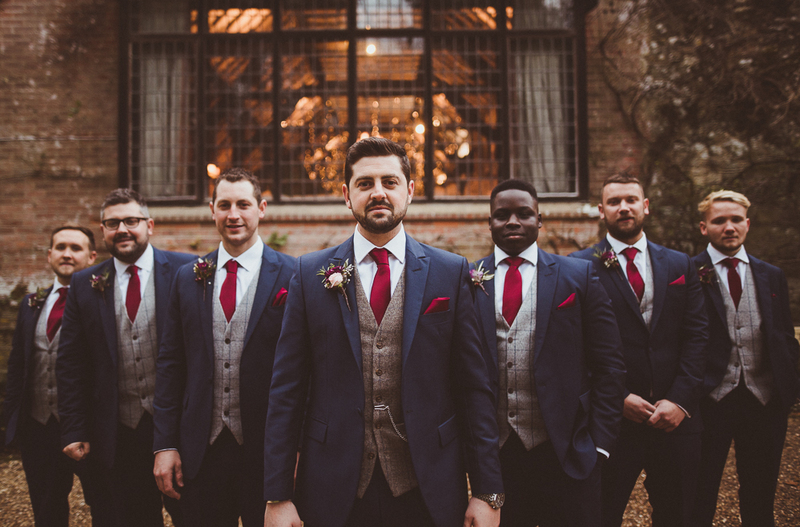 With ten bridesmaids, ten groomsmen, ten homemade cakes and an abundance of love, smiles and hugs, as family and friends celebrate at what looks like the perfect party. 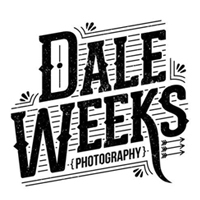 I love that Lauren & Adam had their first dance outside during the golden hour culminating in some truly beautiful portraits captured by RMW faves Dale Weeks and how adorable is the picture of Lauren skipping across the lawn in her bespoke bridal gown! 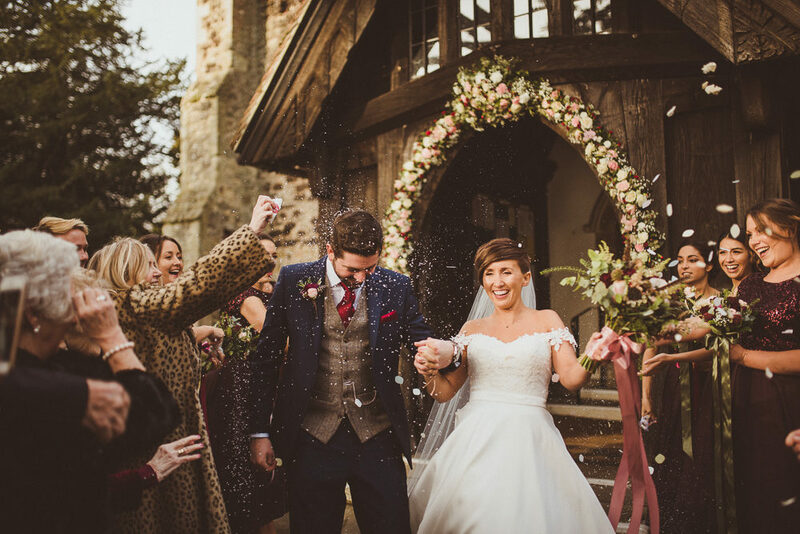 Sarah is such a stunning bride, but is it any wonder when she’s head to toe in Jenny Packham and Jimmy Choo, as well as having fabulous Love Lust List member Makeup by Jodie in charge of her luscious locks and bridal beauty. The picture of her sniffing her gorgeous blush bouquet captured by Source Images is full of anticipation and pretty, and swells the heart, as do all the images. After numerous visits to barns they finally came across Grittenham Barn in West Sussex, and they instantly fell in love (so have we!). 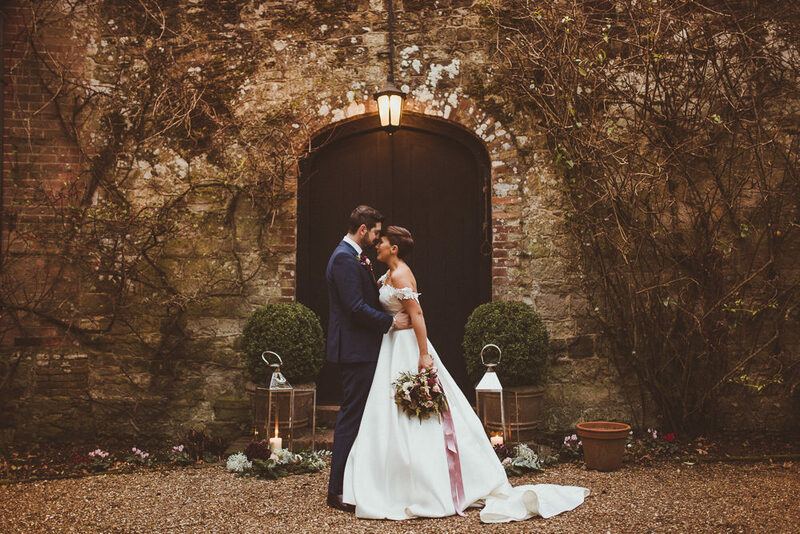 The fairy lights adorning the barn have made for some truly gorgeous pics, with the sweet pink decor looking amazing against the rustic backdrop. 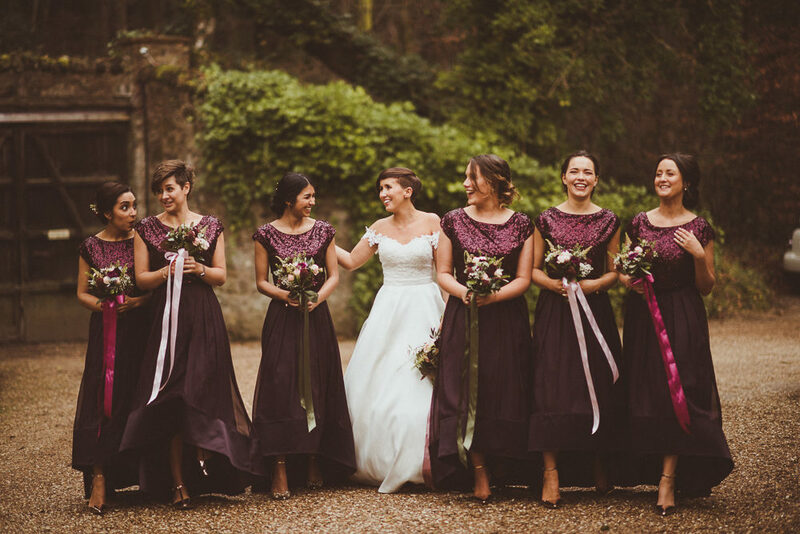 Plus I love that Bride Sarah refers to her gorgeous Bridesmaids as “Bridesmates” allowing them to choose their own frocks in either white or silver from Coast and Reiss. What a super stylish wedding party. 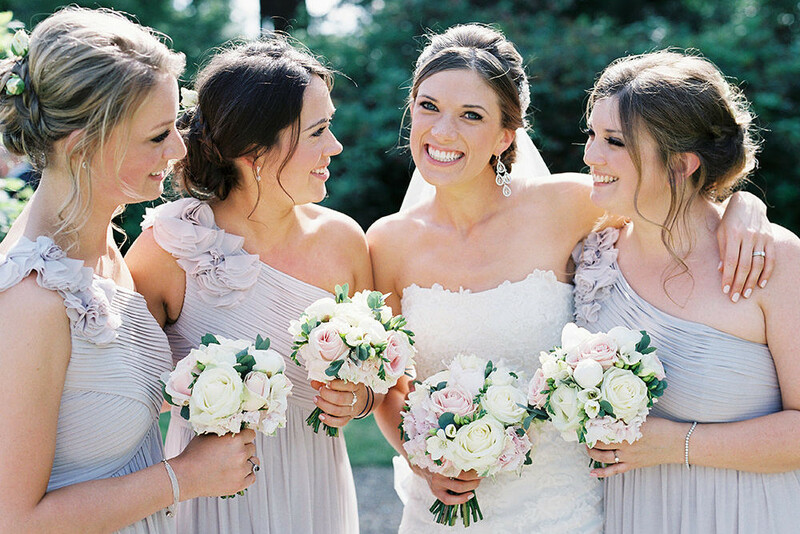 Well hello there pretty, timeless wedding full of gorgeous fashion and florals. I literally have not been able to stop smiling whilst putting this together for you lovely lot. It’s full of light and happiness and just swells the heart. 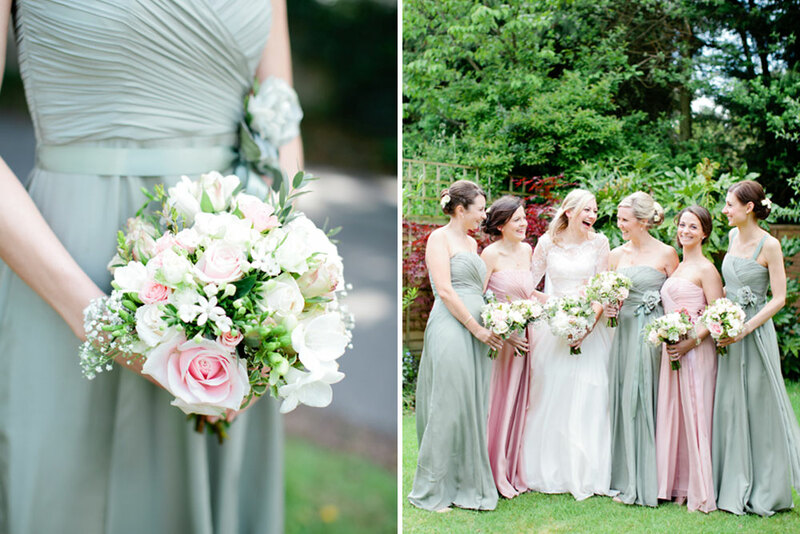 The gorgeous blush pink and thyme green colour scheme is sublime, picked out beautifully in Bride Emily’s stunning Naomi Neoh Fleur gown and the Bridesmaids Coast dresses. 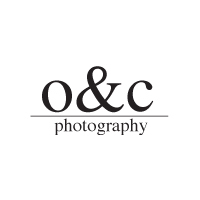 Both of which are members of our Look Book, so if you like what you see, you should definitely check out the rest of their collections. Then there are the florals, echoing the sweet pastel palette, with the bouquets and buttonholes lovingly put together by the Grooms Mother. Not to mention the adorable church arrangements, centrepieces and chair backs. Emily fell in love with photographer Helen Cawte‘s work on these very pages. 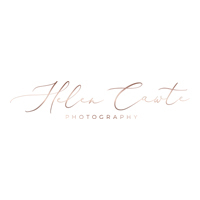 We love hearing that we’ve helped unite couples with their suppliers, especially ones as talented as Helen who has cleverly captured every aspect of this sweet, romantic day for us to pore over and enjoy. 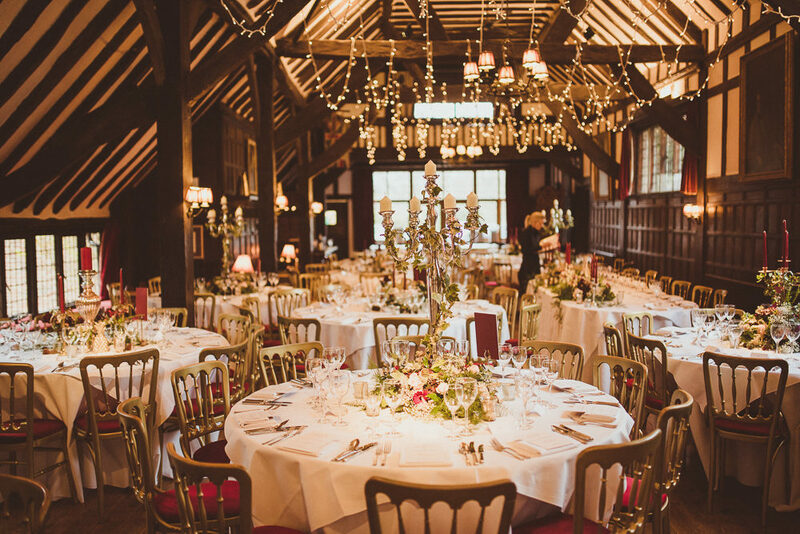 And if you need help finding fabulous suppliers, look no further than our hand picked wedding supplier directory, The Love Lust List.